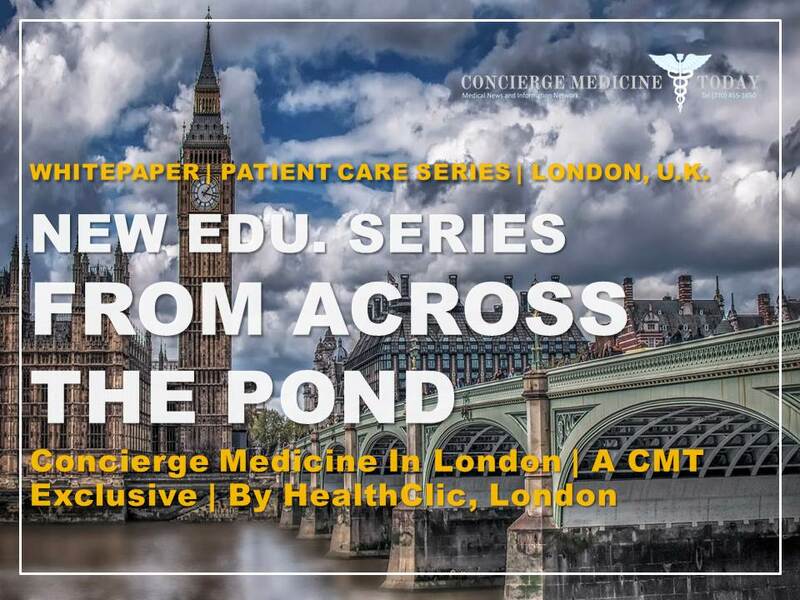 Last Updated: MAY 2018 – The two business models, now distinguished by their engagement with patients through transparent pricing and their disconnection or loose connection with insurance, are increasingly gaining the attention of consumers, employers and the media. 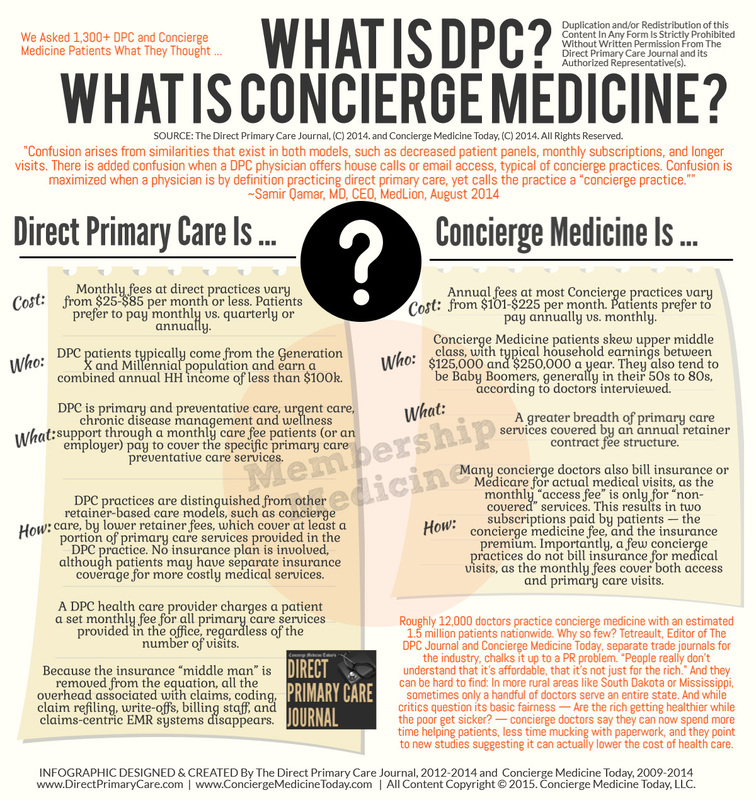 At Concierge Medicine Today and our sister publications, The Direct Primary Care Journal (The DPC Journal), Concierge Medicine CANADA and the American Journal of Retail Medicine, our mission is to communicate news and relevant educational information about the growing industry’s of concierge medicine and direct-pay, primary care. 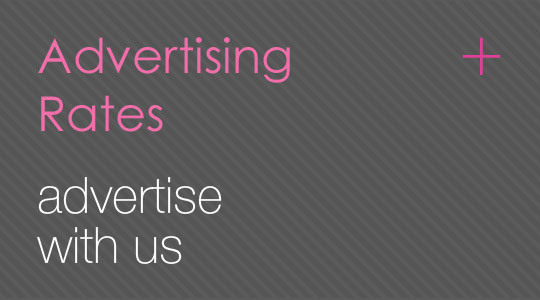 We serve as a public relations advocate and educational resource for the media, consumers (i.e. patients/prospective patients), curious physicians and industry practitioners. As we continue our public relations endeavors, promoting good news [and bad, at times …], we will keep developing more and more educational resources for these markets. At this time, we are blessed and grateful to have such great friends and colleagues in these evolving healthcare industry’s that work with us each day to help us educate, influence and guide outsiders about what these two very different healthcare delivery models are all about. At this time, we’d like to say ‘thank you’ to many of these industry-influencers and innovative physicians by highlighting some of their most popular quotes that have educate, persuade and guide others to a more satisfying career in medicine and helped thousands of our readers better understand how-to achieve better patient-physician outcomes in a difficult and at times, political economy. 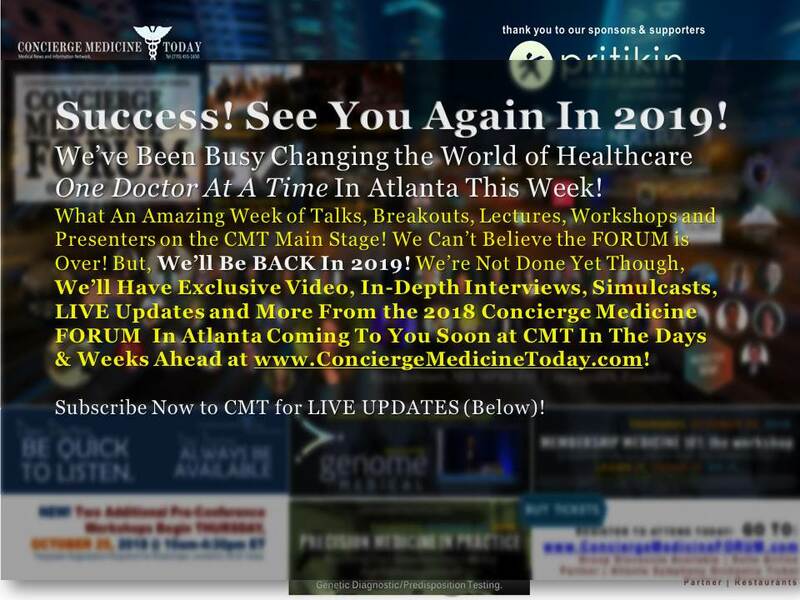 THE CMT FORUM in ATLANTA, GA (OCTOBER 27-28, 2017 –– click here for 2018 Dates …) Concierge Medicine Today (CMT) and The Direct Primary Care Journal (The DPC Journal) hosted the 2017 FORUM in Atlanta, GA October 27-28. 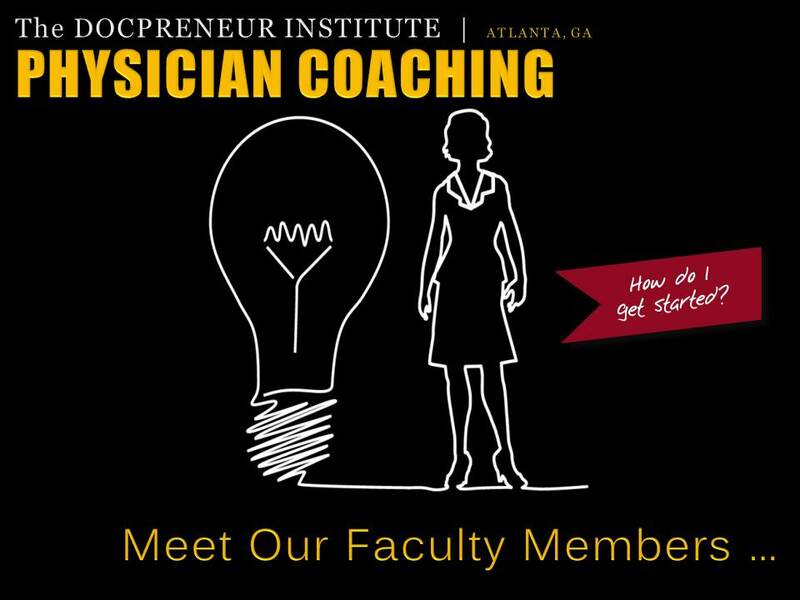 This two-day event is the flagship event for entrepreneurial Physicians from around the globe who are creating medical offices to which patients love to come. 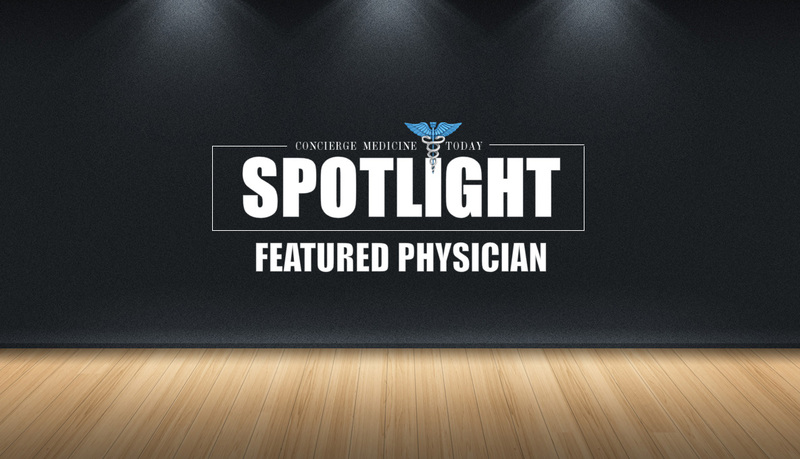 With more than two dozen speakers on the main stage and inside breakouts, Physicians wait all year to attend and it certainly did not disappoint. Why? Well, apart from the fact there was great southern hospitality and a variety of good food, knowledgeable cutting-edge speakers were on brilliant display. “Try navigating managed care on a rotary phone,” said Hecht in his Saturday presentation. “So many things get in the way of connecting with Patients in a Doctor’s office. Choose the road less traveled.” ~ABOVE: Dan Hecht, former CEO, MDVIP, Former Leader/Executive, PROCTER & GAMBLE (NYSE:PG), now coaching, speaking and writing with CEOhm … was a BONUS Featured Speaker on Saturday and he presented to the crowd. “The existing system is built around diagnosing and treating complex cases. It rewards expensive, invasive and complicated solutions. But patients don’t want to be complex cases,” Bliss says. She cites a famous study by the Institute of Medicine that estimated that 30% of each health care dollar is wasted in the U.S. While reformers struggle to “bend the curve” of rising costs by squeezing out the waste, “we just lop it off,” says Dr. Erika Bliss of Qliance. The News Tribune (May 27) | “Despite all our efforts, we have found that the more we grew and proved that this really works, the more the system resisted us and made it harder and harder to survive,” said Dr. Erika Bliss, Qliance’s chief executive. “Do not be afraid to try something new. If we do not try to do things differently, primary care will continue to languish and we will have a harder and harder time attracting people into the field and ensuring that primary care survives for us, our children, and our grandchildren. You do not have to do it all at once, though – a lot of practices are trying to develop a hybrid model, gradually moving more and more of their Patients to the DPC model. It is challenging to do this if you are caring for large numbers of Patients, but practices are finding ways to do it.” ~Dr. Erika Bliss of Qliance. 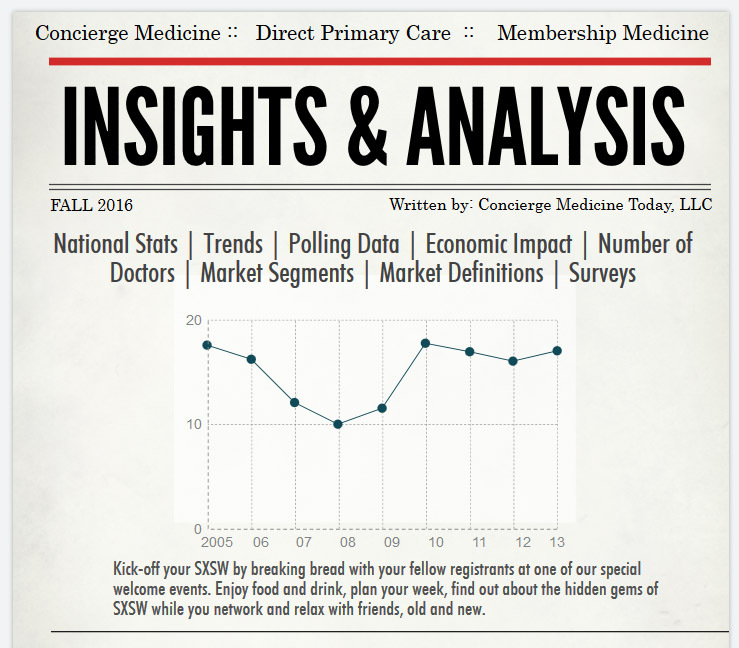 “There is a mystique, a temperament and a curious fascination about Concierge Medicine. 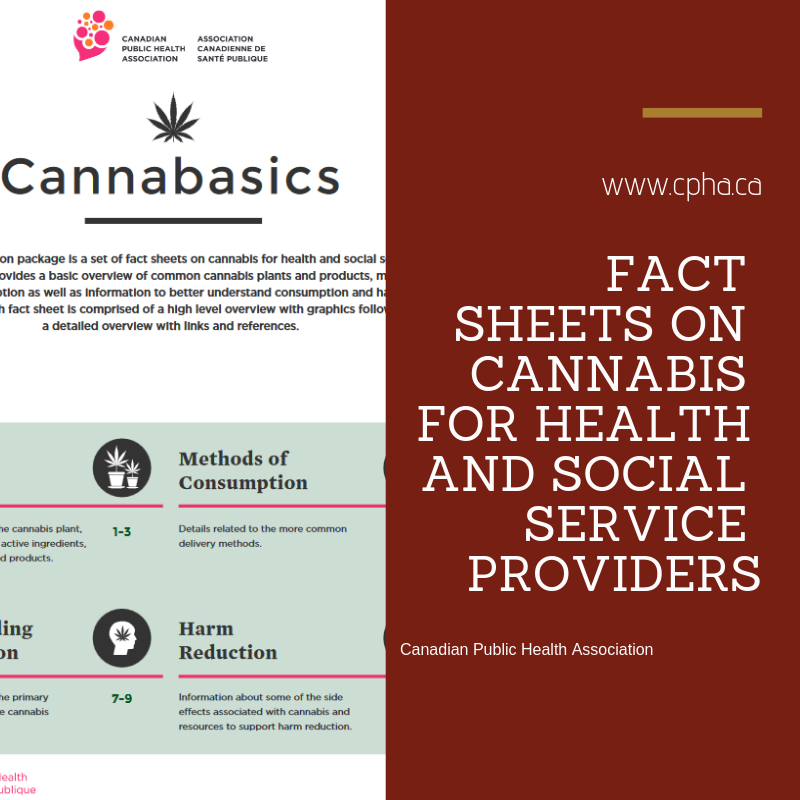 It is in the name alone and that impressionable terminology, like it or not, is an important conversation starter,” said Michael Tetreault, Editor of CMT/The DPC Journal. “We all say we should get the same care, but I got sick and tired of waiting for that to happen,” he added. “I decided to go for quality, not quantity.” ~New York Times; June 3, 2017; Rex Chiu, an internist with Private Medical in Menlo Park, spent more than a decade as a doctor on Stanford’s faculty. “Your basic family physicians will either be in concierge medicine or ‘God help you medicine.’” ~ Mike Huckabee said in his keynote speech Tuesday at the 2014 Benefits Selling Expo. Dr. Todd Feinman also an Advisory Board Member with Evidenza Precision Medicine and Direct Primary Care and is the Chief Medical Officer and co-founder of Doctor Evidence. 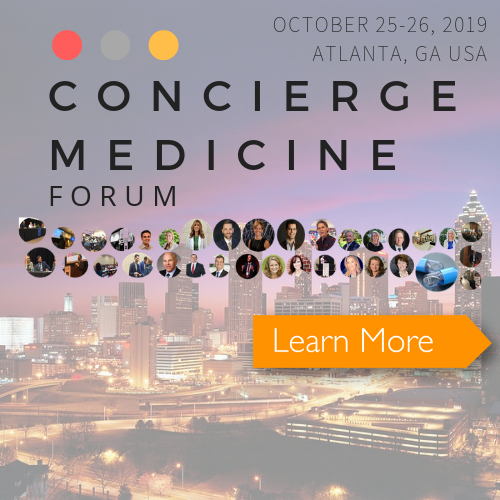 Our 2018 FORUM for DOCTORS will be in Atlanta next year … Click Here To Learn More …! “Instead of just looking at blood, I’m looking at blood, urine, stool and saliva. Instead of just chemistry markers, I’m looking at chemistry, metabolomics (chemical fingerprints of cellular processes), genomics, microbiome (microorganisms), hormone tests, and I’m starting to look at immunology markers. That’s a very different experience. In a perfect world, your body is like the airplane and I’m the co-pilot and we’re using all these tools to identify if there are issues going wrong with the engine.” ~Dr. 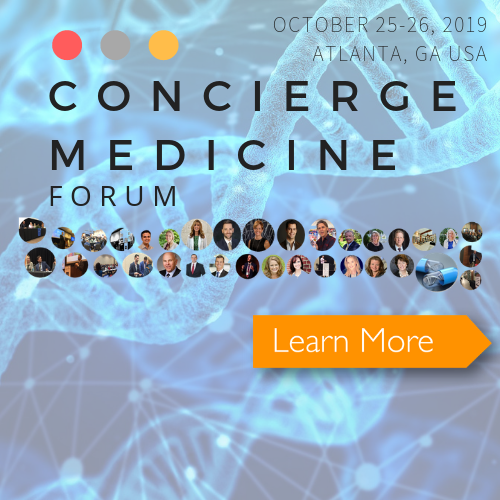 Molly Maloof runs a Concierge Medicine practice in San Francisco which serves a small number of patients for anywhere from $5,000 for an initial assessment to upwards of $40,000 per year for comprehensive care. Her clients are often engineers and executives looking to hit peak performance, or recover from an over-stressed work-life. Maloof, who earned her medical degree from the University in Illinois in 2011, sees part of her work as ensuring they they are doing it safely, backed up by the maximum amount of evidence. “Although there are differences in the models for DPC and concierge care, there are similarities as well…most notably, the ultimate benefit for both patients and physicians: having quality time for offering consistent care and developing strong relationships with patients that are at the heart of these primary care delivery models.” ~Rob Lewis Specialdocs Consultants, Inc.
Dr. Garrison Bliss, Qliance based in Seattle, WA. Dr. Andrea Klemes is the Chief Medical Officer of MDVIP. She also serves as the executive and organizational leader of MDVIP’s Medical Advisory Board that supports quality and innovation in the delivery of the healthcare model drawing expertise from the affiliated physicians. Dr. Klemes oversees MDVIP’s impressive outcomes data and research including hospital utilization and readmission statistics, quality of disease management in the MDVIP network and the ability to identify high-risk patients and intervene early. “Some have said, ‘We’re in the Golden Age of technology but Dark Ages of delivery.’ We have resources but no time to utilize them to their highest & best use.” ~Dr Andrea Klemes, physician and MDVIP Medical Director, says to Medical Economics. “To be able to practice in this fashion, the patient roster is limited to a maximum of 600 patients. Each patient enjoys a 90- to 120-minute annual wellness visit similar to an executive style physical. This includes an exam, review and coaching for every patient. Follow up visits last 30 minutes. 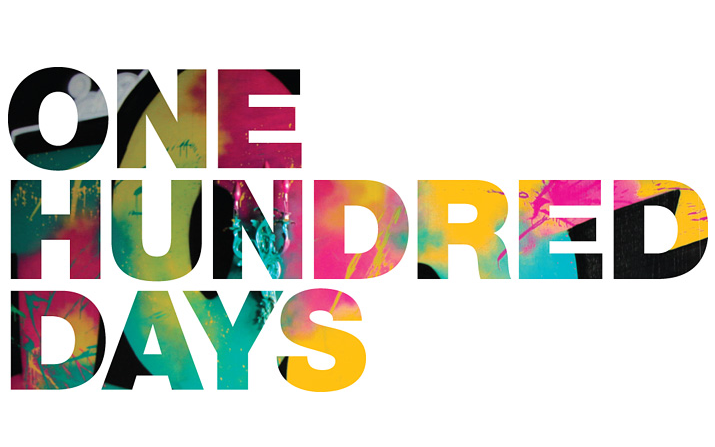 Under this calculation, doctors see eight to 12 patients a day. Physicians benefit on multiple fronts. We enjoy financial stability in this uncertain time. We regain the freedom to practice the way we were trained. Our time, tools and technology improve our abilities and make us even more valuable to our patients than we were before. Partnering with a consultant or an organization who provides the resources to transition successfully to this model is critical particularly to ensure that your practice is compliant with all federal and state laws. The model even improves national outcomes. Hospitalizations are down – by 79% in Medicare patients in one year and 72% in commercial patients. Readmission rates for common problems (Acute MI, CHF and pneumonia) are all under 2%, as compared to the national averages that range from 15% to 21%. Control of chronic conditions is better against all benchmarks and together, these saved the healthcare system over $300 million a year. The patient benefits of a smaller size practice include same-day appointments, 24-hour availability, no waiting and a higher level of coordination of care. 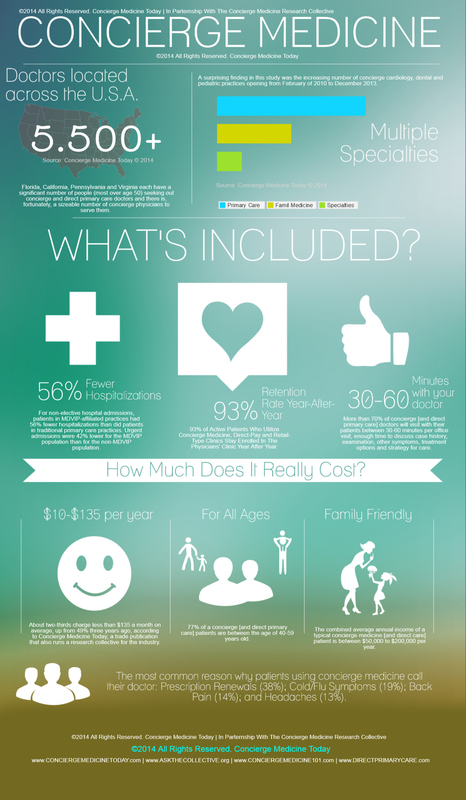 As a result, patient satisfaction tops 94%, with nine in 10 patients renewing annually. Moreover, physician satisfaction is over 95%. With the right tools and model, we get to practice medicine the way we had been trained. We find the time to talk. We tease out buried details, identify issues, and become the hands-on healers we once were. For their part, patients become more accountable and see real results.” ~Dr. Andrea Klemes is the Chief Medical Officer of MDVIP. “My overhead is a phone, an electronic medical record, internet access, rent for office space and one medical assistant. The clinic is built lean because we don’t have to deal with the insurance companies. The revenue that is generated through the monthly fee of $39 to $89 per month is where we get the money to pay our overhead and the doctor’s salary. We don’t need to make a profit on anything else.” ~Dr. Chris Larson is a family physician and can be reached at Austin Osteopathic Family Medicine. Dr. Thomas Lagrelius of Skypark Preferred Family Care, Skypark Preferred Family Care in Torrance, CA. “Running on the discount-insurance based hamster wheel is fatally destructive to doctor morale, patient care and the entire health system,” ~Dr. Thomas LaGrelius, Torrance, CALIF.
“While it is true, as the AP reported, that more and more patients are joining our practices nationwide, the number of patients is not just in the thousands already but in the millions. 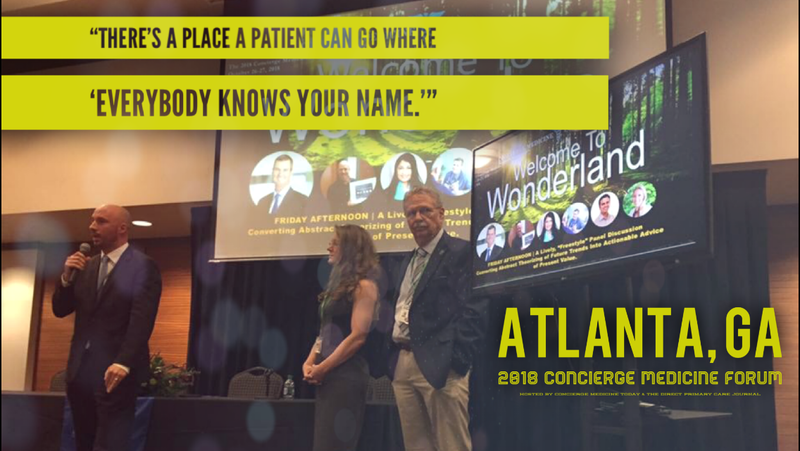 While it is true that concierge practice is exponentially on the rise, the current number of such doctors is not just in the hundreds but in the thousands, perhaps tens of thousands. Most are below the radar. They work quietly and are never counted by bureaucrats. ” ~ Thomas W. LaGrelius, MD, Daily Breeze, Calif.
Dr. Anglyn, a concierge physician based in McDonough, GA.
“In terms of Patient discounts, I try to negotiate discounted cash pricing for my Patients whenever possible. Whether it is for blood testing, radiology, or supplements/medications – I would rather they keep their money for my know-how/concierge fees. And a lot of times cash-pricing makes their life easier, because they do not have to wonder or worry about whether or not insurance will cover, etc.,” said Shira Miller, MD of Sherman Oaks, CA. “MedLion has grown by leaps and bounds over the past two years, and this exciting new venture is a natural step in the way patients can be cared for in our always-evolving, technologically-driven world,” says Dr. Samir Qamar, Founder of MedLion. “It’s common for physicians, particularly those with long-standing patients, to significantly underestimate ‘ramp-up time’ – how long it takes to get new people enrolled,” said Helen Hadley, Founder and CEO of VantagePoint Healthcare Advisors in Hamden, CT.
“Because this is such an innovative model, and because of the high level of disruption that DPC entails, we would expect the first practices out there to have the hardest time as they get a feel for the new landscape and encounter the first, big problems. What we are seeing now is that our customers who are the second and third waves of DPC practices are becoming more comfortable with the model and also more savvy partnering with employers to secure large groups of patients with longer contracts. This makes them less susceptible to consumer whims. Finally, I do not know the politics of the situation, but you always have to understand the motives of the government agency putting these reports out. There are a lot of stakeholders who are very comfortable with the status quo. 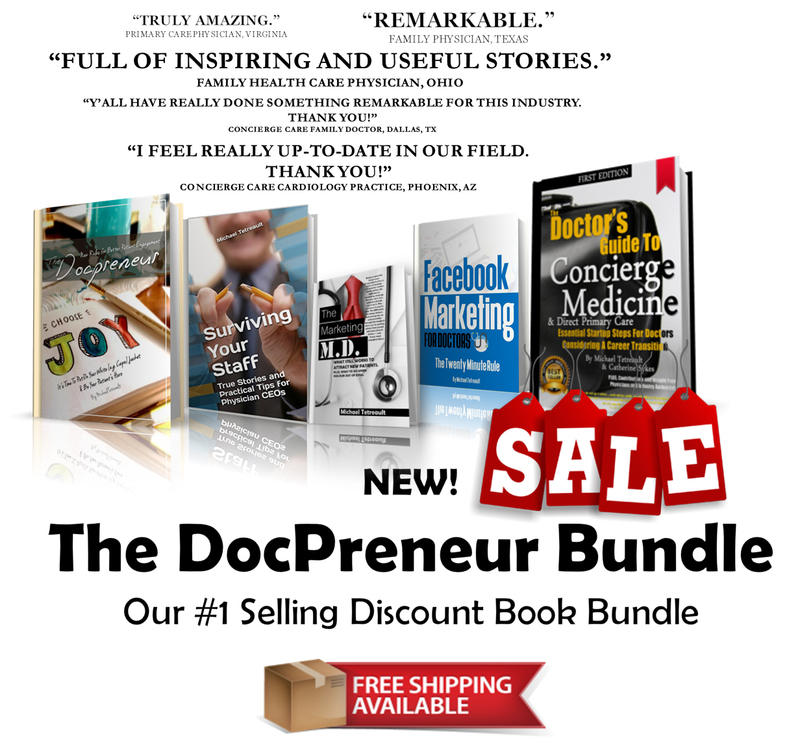 And those people likely have a lot more money and influence than individual DPC doctors.” ~ Blaine W. Lindsey, JD, MPH, CEO of GetHealthy, Inc., a technology operator in the DPC industry providing an evidence-based health and wellness platform that develops unique solutions and services to the DPC marketplace. Marcy Zwelling-Aamot, M.D. is a respected member of the California medical community and a prominent voice in the crusade to improve the broken healthcare system. Dr. Marcy Zwelling is part of a growing trend, physicians who work on a cash only basis. Her Los Alamitos concierge practice is off the insurance grid in an effort to combat regulators and government involvement. “The first thing to decide is whether you want to continue billing insurance,” says Mike Permenter, long-time industry consultant and physician advisor. 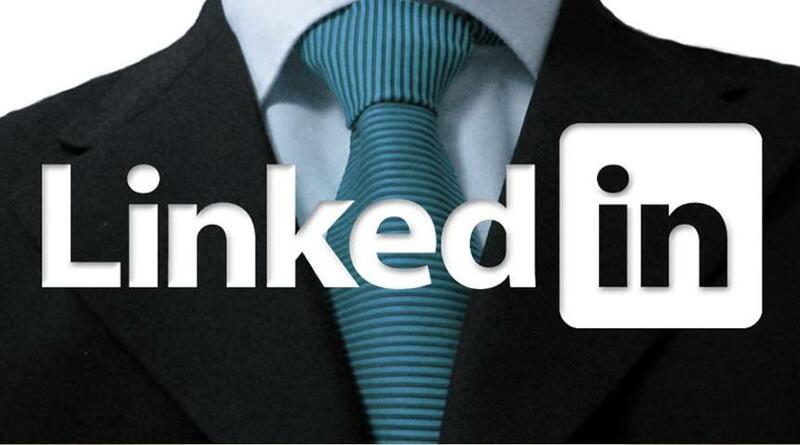 “If so, then there are specific legal issues to address with regards to the structure. If you are opting out of insurance there are a number of options. The biggest mistake in my opinion is charging too low. Conversions [into this private-pay marketplace] will eventually be unnecessary as the public becomes more aware of the benefits of these types of memberships. The big challenge is continuing growth after the initial conversion. Customer service, as described by some physicians, is the number one way to grow [this type of] practice. Linking the service to local self-insured employers is a good way to grow but certainly requires expertise with regards to structuring the appropriate benefit, usually a high-deductible plan with an HSA plus a membership. Most doctors currently practicing concierge medicine as a career choice fall into one of two intelligence-gathering categories when they first opened. First, they used a franchise concierge company to help them with the details or they opted to do it themselves and surround themselves with a local team that would provide counsel in starting this practice model. I perform a thorough analysis of the practice and determine areas where expenses will be reduced. After a survey of the physicians patients, we conduct a 12-16 week conversion. Our fees are collected during the transition only. Once a successful conversion has been completed, we help train the physician staff to provide membership services. If customer service is maintained, we know the practice will continue growing without a need for further services.” ~Mike Permenter, long-time industry consultant and physician advisor. 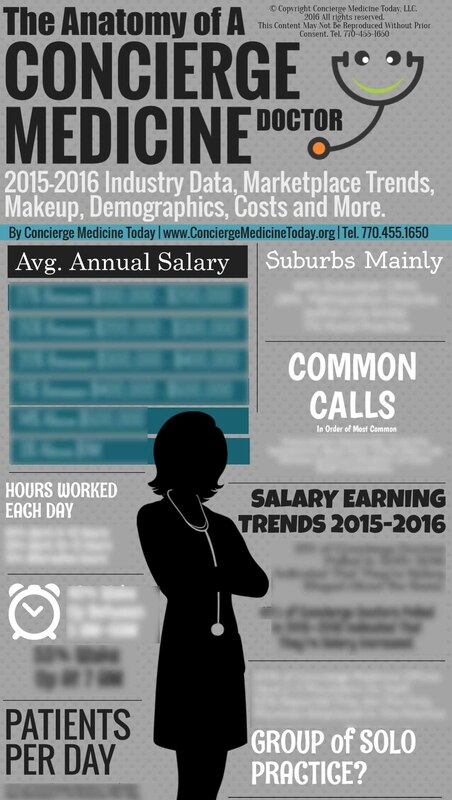 “Industry sources from within Concierge Medicine confirm there are probably around 5,000 to 20,000 private medicine physicians nationally according to the independent industry trade publication, Concierge Medicine Today. However, since there is no federal registry or official national database of these physicians, it is difficult to accurately estimate a precise number. These figures still only represent a minute percentage of the roughly 923,308 total licensed physicians in the U.S., that actively practice medicine today. 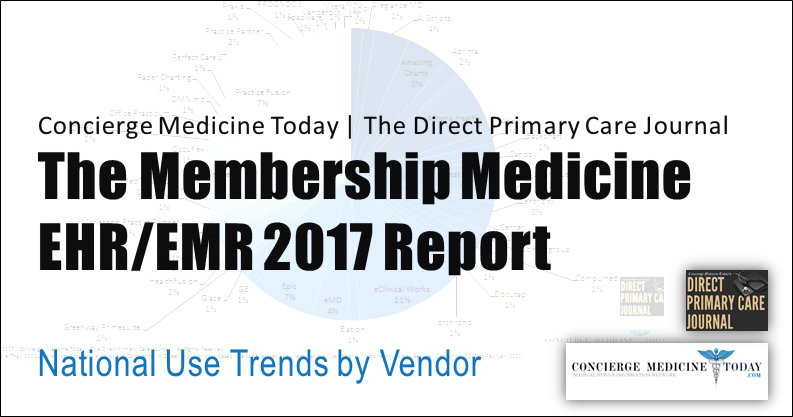 Industry experts and observers tell Concierge Medicine Today that growth in the provision of subscription private medicine services has been primarily in internal medicine and family medicine, although specialty physician participation is on the rise. 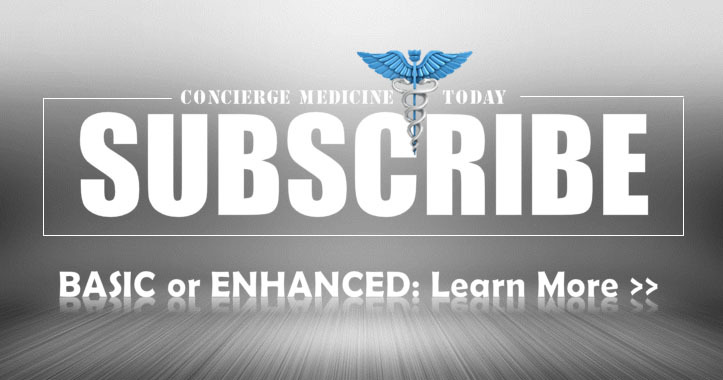 Concierge Medicine Today also cautions that there is no way that Internet searches and polling on the Internet can or will result in an accurate head count of these subscription-based business model physicians. 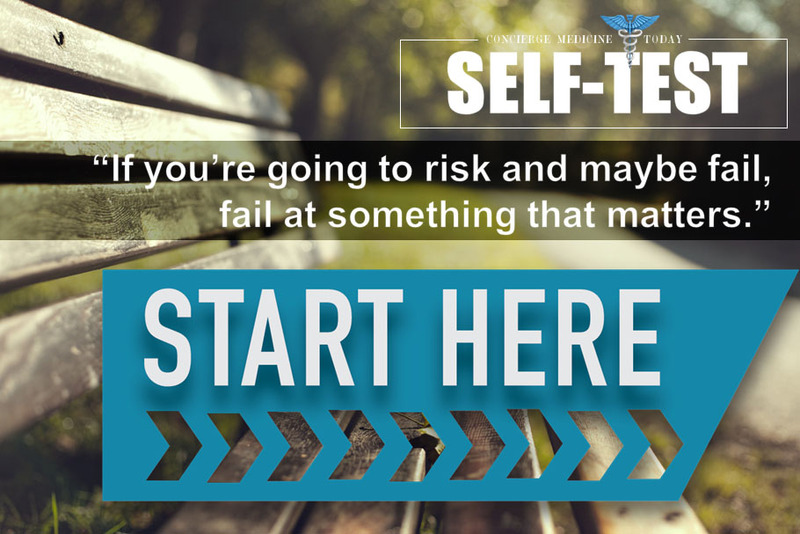 Therefore, it is left up to industry examiners, physicians and thought leaders in the space, to accurately estimate and educate others about the history and future of this private medical space.” ~ Concierge Medicine Today; July/August 2017;  Kaiser Family Foundation; April 2017; Total Professionally Active Physicians in the United States; Data includes currently active allopathic physicians (MDs) and osteopathic physicians (DOs). Dr. Matthew Priddy is board certified in family medicine and is proud to serve as President for the American Academy of Private Physicians (AAPP), where he has held a seat on the Board of Directors since 2012. He completed his training at the IU School of Medicine and his residency at St. Vincent Hospital in Indianapolis, serving as Chief Resident his final year. A second-generation physician, Dr. Priddy is passionate about the positive outcomes empowered by personalized medicine and the degree of improved patient service that is offered by direct care practice models. He and his wife, Dr. Jen Priddy, live in Carmel and enjoy good food, travel, supporting the local arts, and entertaining friends. Neil Chesanow with Medscape writes … Only a fraction of your traditional patients will typically join you in a retainer medicine practice, experts caution. It’s not unusual for a traditional primary care practice with 5000 patients to have trouble attracting the 300-600 patients needed for a full concierge practice, or the 1000 or so patients needed for a full direct primary care practice. Doctors who open with half-full practices court financial collapse. “Unrealistic expectations are what I hear in many doctors’ comments,” Tetreault reports. 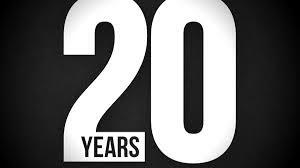 “Doctors set themselves up for hard times over the next 12-24 months by underestimating the market. We’ve seen physicians fail because of lack of capital. They think, ‘My patients love me. There’s no way they’re not going to continue to use me after I transition. I’m affordable. How can they not choose this? This is great!’” One family doctor, who left a primary care group practice to open a solo concierge practice in 2003 — without a single patient going in (a restrictive covenant prevented him from taking practice patients with him) — told Medscape that he wiped out his entire savings keeping the practice afloat, and that he finally earned $100,000 in 2012, 9 years after he left traditional practice. “Typically, there’s a period after start-up when income goes way down as patients decide whether to stay,” said Allison McCarthy, a senior consultant in the northeast office of Corporate Health Group, a national consulting firm. “It often takes a good two years to bring the patient level up to where it should be.” At that point, physicians do better financially. In the interim, they are likely to struggle, particularly with those large start-up costs, which range from $50,000 to over $300,000. “When a physician is free to create pricing structures that meet their local demographic demands without the intrusion from insurance and avoid providing ‘hamster healthcare,’ which only allows doctors to spend 6 to 9 minutes with their Patients, you make a happier Patient, healthier family and less frustrated and fatigued doctor who is able to care for their Patients more thoroughly and comprehensively. “Direct Primary Care (DPC) allows doctors to provide better care, more often, at a fraction of the cost to patients, while increasing their income and offering greater satisfaction … why would anyone stay in a broken insurance-based model?” ~Doug Nunamaker, M.D. “Since 2005, I have been providing comprehensive primary care to families and individuals of all ages in San Francisco. Through mutual respect, careful listening, and collaborative communication, I have built strong long-term relationships with patients and health care providers in the community,” says Dr. Bhandari. The Physicians Foundation. A survey of America’s physicians: practice patterns and perspectives. September 2012. http://www.physiciansfoundation.org/uploads/default/Physicians_Foundation_2012_Biennial_Survey.pdf Accessed April 23, 2014. Association of American Medical Colleges. 2013 state physician workforce data book. November 2013. https://www.aamc.org/download/362168/data/2013statephysicianworkforcedatabook.pdf Accessed April 24, 2014. Article Citation: Cash-Only Practices: 8 Issues to Consider. Medscape. May 15, 2014. Carnahan, S. J. (2007, Spring). Concierge medicine: Legal and ethical issues. The Journal of Law, Medicine, and Ethics, 35(1), 211-215. 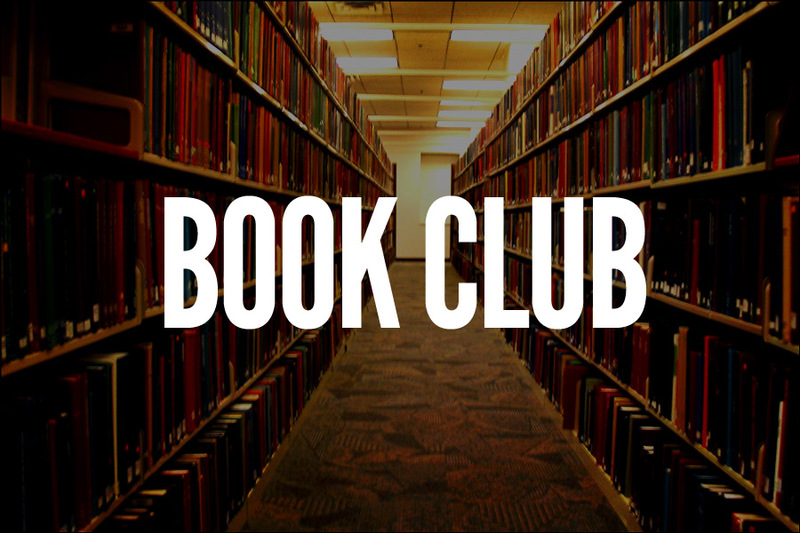 The information is given with the understanding that the authors, publishers, distributors and its related, affiliated or subsidiary companies, are not engaging in or rendering legal, accounting or other professional advice. The authors, publishers, distributors and its related, affiliated or subsidiary companies, stress that since the details of an individual’s personal situation are fact-dependent, you should seek the additional services of a competent professional for legal, accounting and business advice for your individual practice.